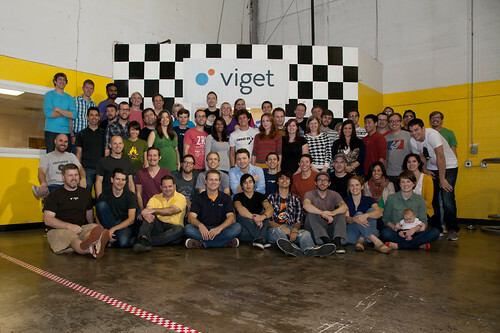 Once again, we somehow managed to get nearly all the Vigets in one place. 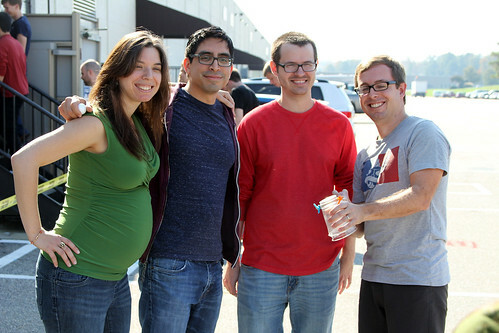 Our Boulder team (except for Jason Sperling whose wife was having a baby!) flew back east last week and we all met in Richmond on Thursday for a longstanding Viget tradition, TTT. G-Force Karts graciously hosted us for a full day of work and play. Our quarterly meeting was structured slightly differently this time around and consisted of team building, presentation sharing, and fist pumping metric discussing. 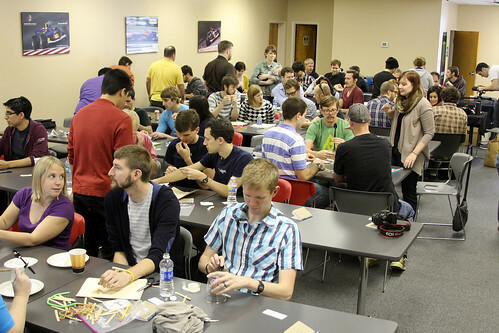 Kevin Vigneault led the team in a fun exercise where teams of four built catapults out of random items such as a manila folder, spoons, cups, rubber bands, pencils, popsicle sticks, and pipe cleaners. Each team had two opportunities to fling the foam ball the furthest. The winning team and their slingshot design. 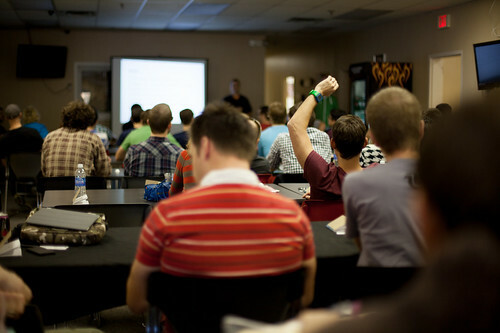 The rest of the meeting was filled with info that I can't necessarily share here. Sorry, we can't give away all our secrets! Since I'm the team mom around here, last week felt a little like the holidays, with all the kids coming home to celebrate. But, with this week over, it's time to get ready for the real holidays and get the elves busy working on the next Viget Holiday Project. Stay tuned!